The 2016 Bama is the signature complete bike from longtime Hoffman Bikes pro street innovator, Seth Kimbrough. Seth worked with Mat Hoffman to make sure his signature bike is stacked with all the good stuff required of modern-day street and parks riding. 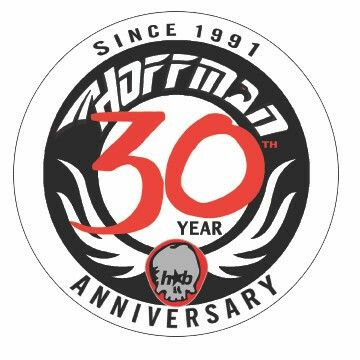 The 25 Year Anniversary Edition Bama is the signature complete bike from longtime Hoffman Bikes pro street innovator, Seth Kimbrough. Seth worked with Mat Hoffman to make sure his signature bike is stacked with all the good stuff required of modern-day street and parks riding – a full 4130 chromoly frame with removable brake hardware, midsize BB, integrated headtube and downtube gusset. The Hoffman forks feature full chromoly tapered legs, while the toploader stem and taller full chromoly bars and Hoffman Raz grips finish off a great front end. 48 spline 3pc tubular chromoly cranks, sealed mid BB, a 25T alloy Hoffman sprocket and PC pedals provide the perfect drivetrain. There are sealed rear hub, with a sealed 9T cassette hub, laced into aluminium double-wall rims, complete with a pair of burly wide tires. Seth’s signature bike is built to take it, at a price that can’t be beat.